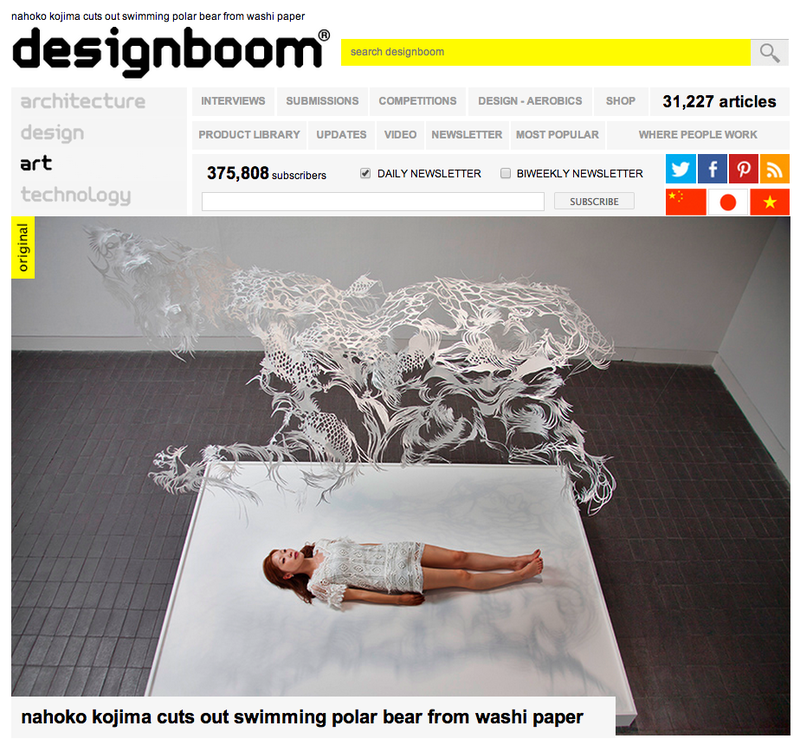 An article written about Nahoko Kojima and her now famous Cloud Leopard appeared on Designboom on 2 June 2013. This prestigious international online magazine was named one of the top 100 design influencers in the world by Time Magazine. Over 22,000 views of the article in just 2 weeks.